In Sandro Botticelli’s famous painting Birth of Venus, the Greek goddess Aphrodite is depicted as having risen from the sea – where she landed is now the Cyprian city of Paphos, created in her honour. It’s somewhat fitting then that Paphos has been named as one of the European Cities of Culture for 2017. This year-long celebration of the coastal city’s cultural treasures offers a schedule crammed with events, talks and exhibitions. Between the UNESCO-listed ancient ruins of Paphos Archaeological Park and the palm tree-dotted beaches, Paphos combines blissful scenery with enthralling historical discovery – all of which can be covered through car hire in Paphos. Here’s what you can expect from a trip to these golden shores. 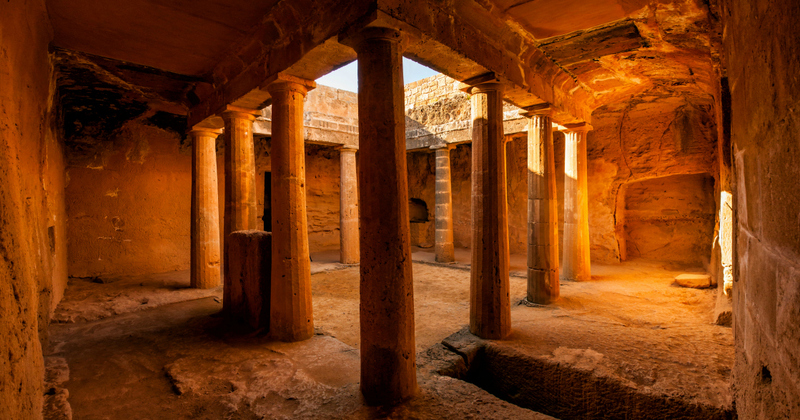 Decades of digs have uncovered what now forms this rich architectural highlight of Cyprus. 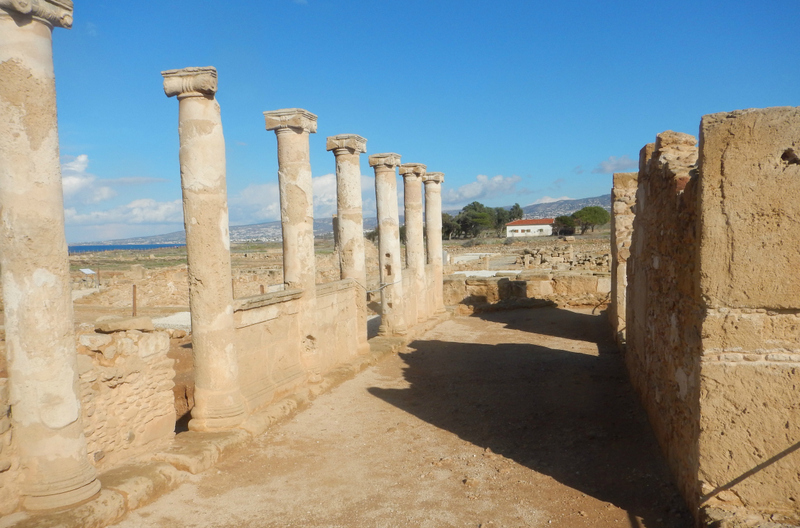 Paphos Archaeological Park serves up a square mile of discoveries, spanning from the ancient Greeks to the Middle Ages. Here you’ll find what remains of a plethora of fortresses, palaces and theatres – as well as four ancient villas. The House of Dionysos is the most notable of the four, and like the others contains mosaic floors depicting scenes from ancient myths. These stunning mosaic renderings are viewable by the public, as is the third-century BC pebble mosaic representing the mythical monster from the seas, Scylla. This extension of the Archaeological Park can be found about a mile north of Paphos harbour and is thought to have been the final resting place of ancient nobility since 300BC. Each of the tombs is carved out of the jutting rock, and some feature gorgeous Doric columns – the likes of which still stand at Athens’ Parthenon. Although the name is misleading – none of the figures buried here were in fact thought to be kings – this majestic site still provides one of the most fascinating insights into ancient Cypriot tradition. As work continues at the site, more secrets are being dug up by the day. This summer sees the En Plo Gallery host one of the city’s most eagerly awaited cultural events. Dozens of Paphos residents, along with talent from all over the world, present their take on this capital of culture, with paintings and photography celebrating the Paphos landscape, its history and iconography. 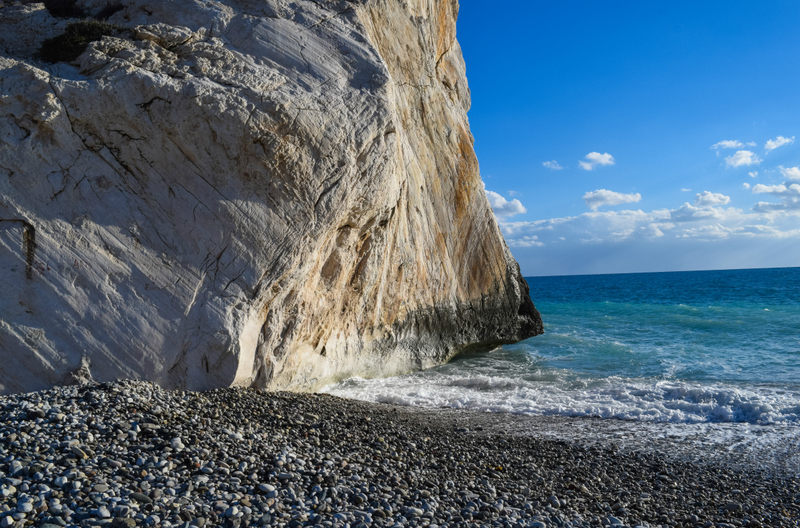 Alongside this magnificent collection, artist Costas Tsoklis will present his Ten Points of Vision down at the scenic wonder that is Aphrodite’s Rock. This series of carefully crafted sculptures will be unveiled at the beach, paying tribute to the mystical origins of the island as well as the rolling landscapes that grace it. Take a trip through musical history at the Visitors Centre of the dig park, with the story of how Europe found its voice through the ages. The touring Archeomusica exhibition stays in Paphos all summer, giving visitors the chance to see rare and unusual musical instruments alongside interactive displays and 3D installations. Discover how ancient European civilisations expressed their artistic sides, and enjoy a tour of the continent’s most inspirational destinations. It’s a chance to see how music was used as a form of communication which spread over space and time, uniting countries with its messages of hope and peace.